t seems like there are more spring and summer birthdays than any other time of year, and it can be challenging to find something personal to give year after year. Though giftcards have become the preferred method of gifting, it’s still a little sweeter to hand-pick a trinket for friends and loved ones. Since cash is tight for the vast majority and taxes are due today (yuck!) I thought I’d show you my picks for affordable and sweet gifts for the birthday gals and guys in your life. First up, an adorable Mod Bird with Silver Nest and Eggs necklace in sterling silver. Not only is this a steal at $25, it’s a great conversation starter. You can find it for sale MLE Jewelry Etsy Store. For the list-maker and to-do fanatics, Mary Kate McDevitt creates unique and stylish chalkboards. Her hand-lettering and quirky designs are the perfect way to take boring to-do lists and make them much more fun. These are around $45. If you have to mail a birthday greeting, why not send a Postcarden? 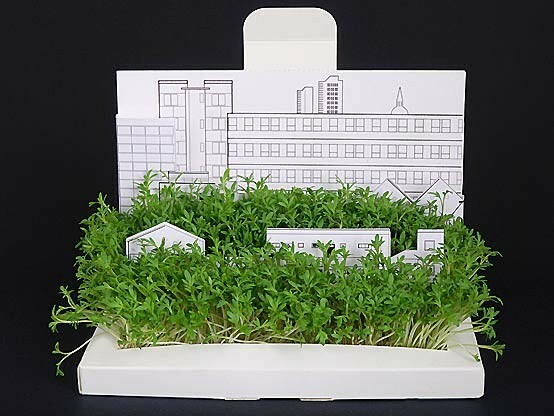 These green postcards unfold into three-dimensional structures that contain edible cress seeds. Choose the structure type that best fits the recipient, like a cityscape, botanical, or football. Put the seeds into the base, add some water and soon you have your very own mini-garden! This runs you about $10 plus a little for shipping. Lastly, for the interior design lover who seeks funky and unique prints to frame and create a gallery wall, these links will make their day. From the beautiful peacock vintage print here to the hilarious take on the “Keep Calm” signs here, they all run about $10. These also make nice framed prints to keep at a desk for a co-worker’s birthday.